Russian-based business support system (BSS) provider for telecommunication, Nexign, is expanding into Africa, with South Africa and Nigeria top of its list of new markets. 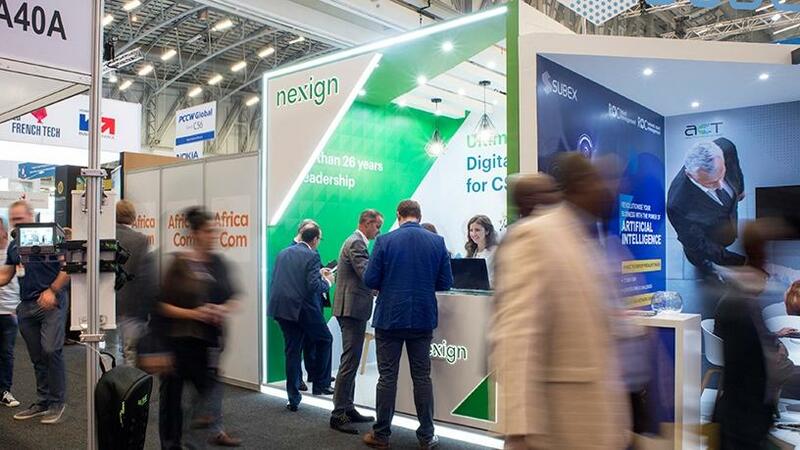 “The company has big plans to expand its footprint in Africa in 2019,” Ahmad Sayed, regional director for the Middle East and Africa (MEA) at Nexign, told ITWeb during an interview on the side-lines of AfricaCom 2018 in Cape Town. Nexign (formerly Peter-Service) was established in 1992 and is headquartered in St Petersburg, Russia. The ICT company plans to drive expansion into the African continent, supporting regional telecom operators in modernising their networks and IT systems. Sayed said the first focus in Africa will be on Nigeria and SA, and for now the African business will be covered from the Dubai office. He noted Nexign is “in the process of hiring people in SA”. Sayed said Africa has seen significant activity in recent years, with major telecommunications operators working to modernise their networks and IT systems. Nexign employs over 1 800 people throughout Russia and the Commonwealth of Independent States (former Soviet Republics), Southeast Asia, and now the Middle East and Africa. The company has executed over 120 BSS transformation projects across 14 countries and had revenue of $123 million in 2017. “We are already engaged in a number of large opportunities within Africa and we are very excited that as soon as we came into the market, the market has responded to us,” Sayed added. The group has already delivered its first project in Africa, in Mauritania. “Our target is to close a good deal by the end of 2018 and then close a much larger deal with a large telecoms group within Africa in the next 12 months. We are working to get in with a very large mobile operator on the continent. The Nexign booth at AfricaCom 2018. “BSS is our bread and butter, and now we have also started to move into the Internet of things (IOT) and other technologies which are driving market trends,” he explained. “There seems to be a lot of interest in Africa for IOT solutions, especially for industrial IOT and agricultural use cases as well as fleet management. We see this interest and that is why we are bringing these solutions to Africa,” Maxim Nartov, BSS product director at Nexign, told ITWeb. “We see IOT as a growth engine because it is an important part of the growing digital operator. They can no longer just provide connectivity; they need to move into more digital services,” Nartov added. He noted the MEA region is the company’s main priority at the moment in terms of growth strategy. The group’s focus up until this point was Russia and the surrounding states. Its largest customer is MegaFon in Russia and it also works with telcos like Rostelecom, Turkcell and UzbekTel, among others. “In a lot of ways, the African market is quite similar to the markets we are already working in because it’s a heavy prepaid market moving more to postpaid. We see digital transformation happening and we see people working with reasonably low average revenue per user and that is the environment we are used to. We understand how to work here and what to offer, so our experience will play well in this market,” said Nartov.